Bookkeepers can work in many fantastic and unique industries, and bookkeepers are always necessary. The salary and job responsibilities of a bookkeeper can vary heavily, allowing employees to find the balance that suits them the best. A bookkeeper is an individual that keeps track of all of a company’s transactions. A bookkeeper is an individual that keeps track of all of a company’s transactions. If the bookkeeper works in the accounting department for a company they will keep track of that company’s transactions, while bookkeepers that work with accounting firms may sometimes have dozens of companies to keep track of. Some bookkeepers are even self-employed, and they take on their own clients. All companies, from small startups to large corporations, are required to maintain accurate books. This allows self-employed bookkeepers to gain clients that can’t otherwise afford a dedicated bookkeeper. In the past, bookkeepers needed to maintain their transaction listings on paper. Today, most bookkeepers use bookkeeping software such as Intuit QuickBooks. Bookkeepers need to be aware of the fundamentals of bookkeeping and accounting, but many of them do not have a formal education but instead have on-the-job training. A bookkeeper in a larger corporation may be responsible for a single aspect of bookkeeping. This can range from accounts receivable to accounts payable. Bookkeepers in smaller corporations will usually manage all vendor payments and customer receipts as well as the monthly bank reconciliations. Bookkeepers may be responsible for printing out financial statements and invoices depending on the size of the company. Bookkeepers that work for themselves or for accounting companies will usually need to complete the books of many companies at the same time. This includes taking receipts and bank statements, entering in transactions and reconciling them. Bookkeepers may be responsible for letting the company know when they are running low on cash or when they haven’t paid certain bills. 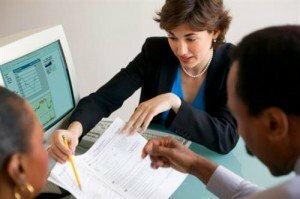 A bookkeeper is also sometimes known as an accounting clerk or an auditing clerk, according to the Bureau of Labor Statistics. Accounting clerks and auditing clerks are usually specialized forms of bookkeeper. Bookkeepers usually have an Associate’s Degree in a field related to bookkeeping, though it’s not always necessary. Many bookkeepers get on-the-job training for their bookkeeping, but those that want to become self-employed or work for a larger company should usually have at least an associate’s degree. Bookkeepers with Bachelor’s Degrees can qualify to become accountants rather than bookkeepers. Bookkeepers may sometimes enter into the field through administrative work, as there are many administrators that need to maintain light bookkeeping tasks. Smaller companies usually don’t require degrees for their administrators or bookkeepers. A certification program is also available for bookkeepers through the American Institute of Professional Bookkeepers.To remain certified, most bookkeepers will need to maintain continuing education credits and will need to pass the applicable tests. How Do You Advance as a Bookkeeper? Advancement as a bookkeeper can be most easily acquired by getting a Bachelor’s Degree in accounting. Many of the same principles involved in bookkeeping will be involved in an accounting degree, and most bookkeepers will find the transition fairly straightforward. Those that want to remain bookkeepers can slowly build their client base until they can enter into self-employment. There are many successfully self-employed bookkeepers that work from home or that maintain their own bookkeeping offices. However, there are some services that cannot or should not be provided without a certified public accountant. Bookkeepers usually cannot become certified public accountants because they usually do not have the required educational credits to qualify, even if they do manage to pass the CPA exam.